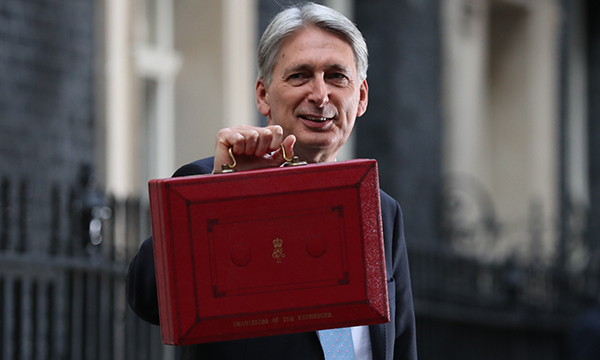 The chancellor promised an extra £2 billion a year for mental health services in today's budget. Philip Hammond said the government was committed to achieving ‘parity of esteem between mental health and physical health services’. He also promised extra money for social care – an amount the RCN predicted will 'barely touches the sides'. Up to £250 million a year by 2023-24 will be invested in new mental health crisis services including, children and young people’s crisis teams in every part of England and mental health support in every major emergency department, Mr Hammond said. The NHS will prioritise services for children and young people, with schools-based mental health support teams and specialist crisis teams for young people. The RCN said the extra money should be ring-fenced to stop it being diverted to ease crises elsewhere in the NHS. RCN acting chief executive and general secretary Dame Donna Kinnair said: ‘Ensuring a bigger proportion of the money promised by the Chancellor to the NHS is spent on mental health is a crucial first step to correcting the historic underfunding of services for people with mental health problems. ‘While it makes sense to set up closer links between schools, social services and the NHS, around 5,000 mental health nurses have left the health service since 2010, so it’s difficult to see how this vision will be realised without a sufficient, well-trained nursing workforce. A&E departments already have significant staffing gaps. Mr Hammond also confirmed the June announcement by prime minister Theresa May of an extra £20.5 billion for the NHS over the next five years. Local authorities will receive an extra £650 million for care of older people and those with disabilities, and there will be an extra £10 million for air ambulances.